Home Ministry Leaders SG Models/Structure What Are the Best Methods and Models for Small Group Ministry? As a coach and consultant, I’m often asked to talk about the right methods to achieve the goals and mission that the church wants to accomplish. Sometimes the questions sound more sanctified, as I’m asked about the most biblical methods. Other times the discussion forms around models, usually relating to the ones certain successful churches use. I suppose it’s easier that way. Just give me a method or at least a good model, and I can implement it. Three simple steps and voila, paydirt. Methods and models don’t take a lot of work and can be implemented quickly. Beginning with mission and culture takes time. However, the Bible rarely if ever provides one specific method for worship, evangelism, discipleship, community, or anything else of importance. I was reading Psalm 150 and was struck by all the various ways listed for how and what instruments we can use to worship God. Some commentators imagine a symphony orchestra in this psalm; all these instruments are playing together and people are dancing. I see it more as a list of choices God gives us. praise him with loud clanging cymbals (vv. 1-5, NLT). Note that the passage doesn’t even tell us where to worship. It might be in the “sanctuary” or a church building; or it could be outside under the open sky or under the heavens (cf. John 4:21-24). The main point: “Let everything that breathes sing praises to the Lord! Praise the Lord!” (v. 6). Praise the Lord is the value. How we praise him is up to us. When we try to twist (proof text) the Bible to fit into our preconceived notions of where or how we are to do (or not do) “church,” we not only miss the point, but make our faith confusing for people. We also add to God’s Word in direct violation of the Scriptures. God gives us freedom in methodology. The values and the principles are what are most important. Last Saturday I had breakfast with two church leaders who are planning their small group ministry strategies for the fall and the next several years. I began by asking them a lot of context questions about their church so I’d have a good idea of the culture there. At first they talked about campaigns, different “types” of groups, and adding people into groups. That’s all good stuff, but those tactics come way down the line in the strategic planning process. We would then go back to discussing vision, mission, and purpose. The big question: What’s the purpose of groups at the church? After that: What would your senior minister and elders say is the purpose of small groups? How about your group leaders? Group members? Do those match up? Then we discussed the culture of the church. 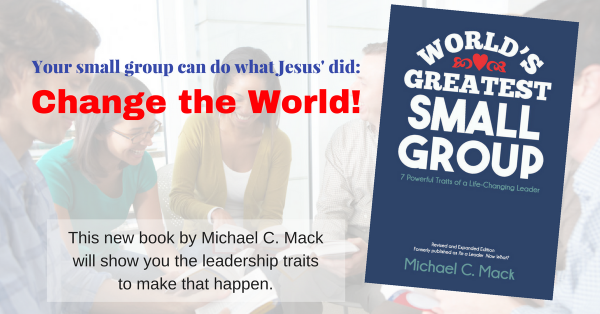 Like anything else, small groups must work within the culture of your church. That’s why I believe using some other church’s methods and models is foolish. Those things work in their culture. Sometimes they worked in their culture several years ago when they wrote that book or made that video, but as with all things in life, people and cultures change. So figure out your culture and then design your “model” to work with it now. Keep it flexible so that as things change, so can your methodologies. That takes real leadership! Let’s say your church culture is not as conducive as you’d like for a life-changing small group ministry there. It’s OK. Start slow and develop one, then two, then four, and then more healthy groups. Over time and with much prayer, you may be able to change the culture to become, for instance, more community-focused or more missional in nature. That takes prayer, patience, God’s presence and power, and a commitment to his purposes. Once the vision, mission, purposes, and culture are known, the strategies, plans, and tactics (the methods) become clearer. Keep praying. Keep trusting God. And then you can praise the Lord for his mighty works! It’s Not About Small Groups! Previous article How to Start Every Day: This WILL Change Everything!